November 15th, 2018 | Home and Lifestyle, Moving Tips. Moving can be one of life’s most stressful events. Often, moving involves saying goodbye to home, signing a lease or a mortgage, selling a property, meeting new people, finding a new job, going to a new school, acclimating to new places, and finding new restaurants, doctors, and dentists. Moving can involve a loss of health insurance, getting on new health insurance, temporarily losing track of things you’ve packed, failing to have time to clean or cook and a loss of free time. In other words, moving is a chaotic event that can produce a lot of anxiety. You can use strategies to reduce moving anxiety. Creating places of peace, taking time to enjoy the little things, taking care of your health and staying organized are all ways that you can manage your anxiety during a relocation. Meditation can help the body relax, which can reduce blood pressure and calm the mind. 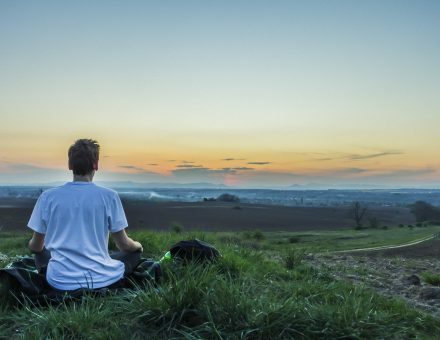 If you’re new to this activity, guided meditation can help ease you into the practice. For a person who feels anxiety or stress about an upcoming move, meditation can be difficult. Many people assume that in order to meditate, one must force the mind to be quiet. In fact, the opposite is true: a person who meditates allows their thoughts to surface without judgement. 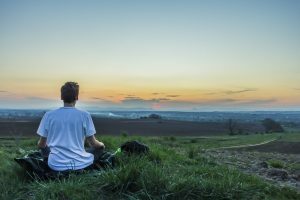 When a thought comes to mind, the person meditating examines the thought and moves on, always coming back to focusing on breathing. Meditating at least once per day can help reduce anxiety for most people. At the height of your moving activities, consider meditating more than once per day to relieve stress. Houses can become messy during a move. With boxes and packing material everywhere, many people start to feel overwhelmed. Sometimes the mess is unavoidable, especially if you have a lot to pack. Still, creating a calm space somewhere in your house can help reduce feelings of anxiety and can give you a place to go where you can feel safe. Keep at least one room box-free, and leave the packing in that room for last. This room might be your bedroom or a favorite sitting room. When you start to feel anxious, go to that room. Meditate there if it suits you. A good diet is good for your health. Good health reduces stress, while poor health causes stress. Eating healthy, therefore, can help control your anxiety. Unfortunately, eating healthy can be a challenge when your dishes are packed and you have no time for cooking. Make a point of eating healthy but convenient food that makes little mess. For example, eat bagged salads and pre-made roasted chicken and tuna salad. Keep boiled eggs on hand for breakfasts, and store a variety of healthy snack foods (nuts, granola, whole apples, carrot sticks, pretzels and dried fruit) in your kitchen. You don’t have to cook a lot to eat well. Sleeping can be difficult when you have a lot on your mind. Unfortunately, loss of sleep can exacerbate stress levels. If you usually get 8 hours of sleep every night, continue getting that same amount of sleep every night throughout the packing and moving process. Meditate before sleeping to help calm your mind. Shut out all light sources when it’s time to rest. Turn off electronic devices half an hour before going to bed. Maintain a box-free path from your bed to the bathroom so night time trips to the bathroom are fast and easy. Breathe deeply when trying to sleep, and focus on your breath. If you find that you still have time quieting your thoughts, use a relaxation tape and visualization strategies to help you sleep. Moving is more stressful without a plan. Having a plan with to-do lists can help you feel in control of your move. Make a timeline of events and establish a deadline for each one. Make a calendar with a to-do list for every day. Assign duties to family members to spread the work around. Check your plan every day to find out what you’re supposed to be doing on that day. There will be times when family members and friends offer to help pack, watch your kids, walk the dog or declutter your garage. Take friends and family up on these offers. The more help you get, the less stress and worry you’ll feel. Working with a reputable moving company will give you the peace of mind you need during your relocation. When you hire a professional moving company to help with your relocation, you can rest assured knowing that your move is in good hands. Need more advice for reducing anxiety during your upcoming move? Contact Bekins Van Lines. We’ll be happy to answer your questions and give you the information you need to relax.